April’s Cinema Wasteland Movie and Memorabilia Expo is now another fond memory for 2000+ who attended the show, and we certainly thank everyone who came up to us all weekend to let us know just how much fun they were having. Never one to rest on reputation we’ve got another terrific show ready to unleash this October 4th, 5th and 6th, 2019 when we celebrate our 19th Anniversary in style. Join us when we present a first time cast and crew reunion for George Romero’s MARTIN. And that’s not all! In addition to the Martin cast, we’ve got some fantastic additional Guests ready to join us this October that include four new first time CW Guests! Then CLICK HERE to get to the main Cinema Wasteland Show page. We will most certainly have the web site updated as soon as possible but for now, the Guest List is posted for all to see. Our RETRO MOVIE NIGHT DOUBLE FEATURE will also be returning with a twist this August 10th. If you didn’t grab a flier at the April Show then just click on the graphic to the left for more info and we’ll see you all in a few short months! LOOKING FOR SOMETHING YOU JUST CAN’T LIVE WITHOUT? 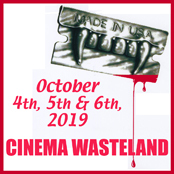 - For 25 years now, Cinema Wasteland has offered one-stop shopping for any and every Drive-In and Grindhouse Movie Fan the world over, and we tend to update the Merchandise Section of the web site every month with New Stuff. Hundreds of rare, uncommon, and out-of-print DVD titles are in stock every day. You’ll also find thousands of Drive-In and Grindhouse era Movie Posters, and hundreds of great items like Autographs, Toys, and assorted Collectibles pictured on our website. And the best part? 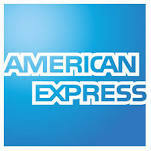 You’ll find it at some of the best prices for top quality merchandise that you’ll find anywhere. We gladly accept Visa, Mastercard, Discover, Amex and Paypal on our Secure Web site and most orders ship within 48 hours of ordering. Why not look around next time you have a few minutes to spare? We promise that you’ll be pleasantly surprised at what you find and the price you find it at. Click Here to receive a monthly update about new merchandise. We Buy or Trade for original Movie Posters, DVDs, 16mm Film, Toys, or Collectibles. Have something to get rid of? Then get in touch and if we’re interested, we’ll make you an offer to buy or trade for it. No collection too small or large to consider.